Don't be fooled by its diminutive, dare we say "cute", appearance. The Ampeg Micro-VR Bass Guitar Amplifier Head is a compact powerhouse fully capable of pumping its 200 watts of genuine Round Sound ™ into myriad live and recording situations. 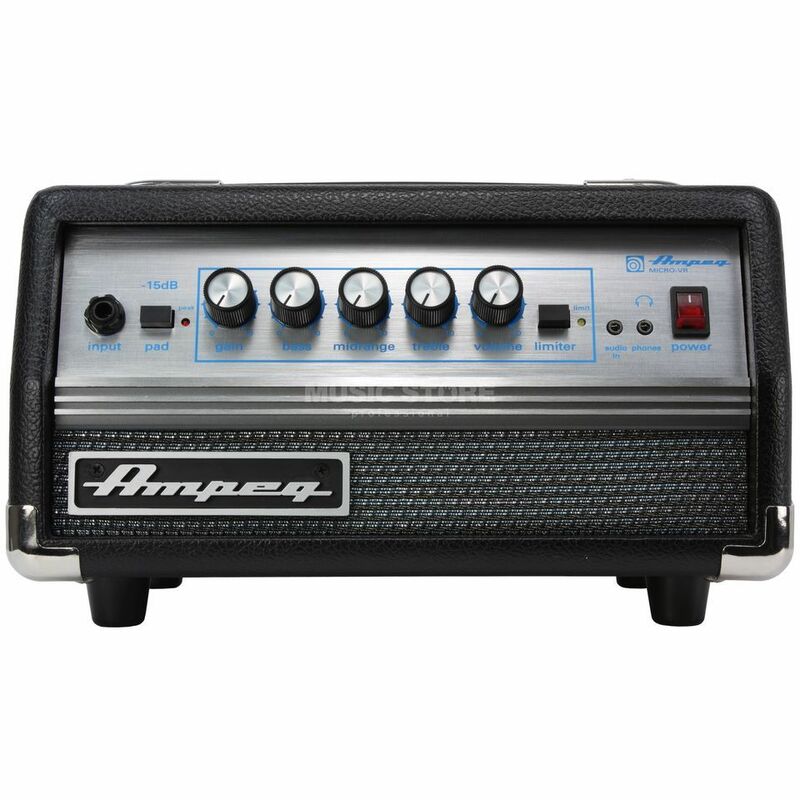 The Ampeg Micro-VR Bass Guitar Amplifier Head is a portable, powerful solid-state head in traditional Ampeg drag and is a pleasant surprise from the second you lay eyes on it to the moment its indisputable Ampeg tone hits your ears.